This collection of elegantly composed black-and-white images by one of New Mexico’s most accomplished photographers, celebrates the state’s captivating physical variety and enduring allure. 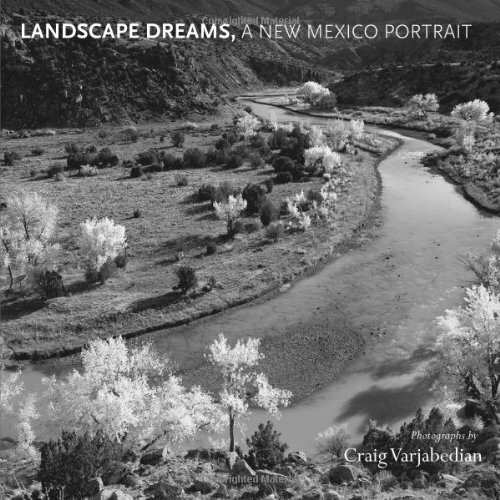 With subject matter ranging from some of the state’s most iconic landforms— including the White Sands desert and Carlsbad Caverns—to the people who work the land, Varjabedian’s images pay homage to New Mexico’s ancient history and to the homely details of everyday life. In photographing his subjects, whether epic or mundane, Varjabedian seeks the moments when the light, shadow, composition, and other elements combine to express the beauty of the place. Marin Sardy’s wide-ranging essay provides historical and cultural contexts in which to understand Varjabedian’s work. Scholar-poet Jeanetta Calhoun Mish defines the particular quality of the artist’s imagery.